While it is not possible to predict — or necessarily prevent — terrorist incidents in which chemical warfare agents (CWAs) and toxic industrial chemicals (TICs) are deployed, correctly chosen, fast, and reliable detection equipment will allow prepared rescue workers to respond quickly and minimize potential casualties. 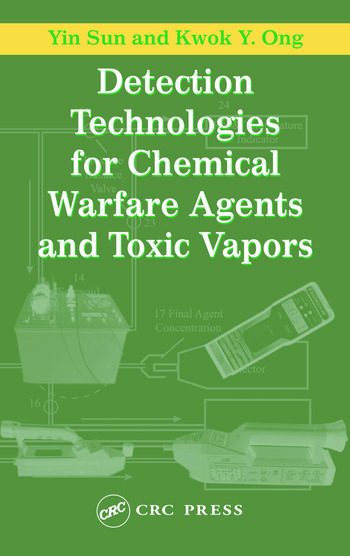 Detection Technologies for Chemical Warfare Agents and Toxic Vapors discusses the principles, instrumentation, and context for applying technologies such as ion mobility spectrometry, infrared spectroscopy, colorimetric chemistry, and flame ionization to the detection of TICs and lethal CWAs. It conveys techniques — some of which have been patented by the authors — developed for generating vapors and closely imitating potential environmental effects in a laboratory setting, specifically for the testing and evaluation of hand-held, portable, and remote devices. 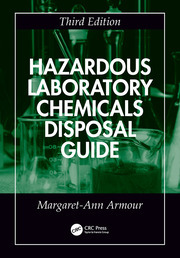 This book also provides a comprehensive list of toxic industrial chemicals classified in terms of hazardousness and their physical, chemical, and toxicological properties. Following a brief historical overview, the text also includes a review of federal detection requirements and the government’s rationale for preparedness and response. By providing insight on the behavior of toxic chemicals, the authors hope to minimize the fear and chaotic effect in a potential event involving chemical agents. 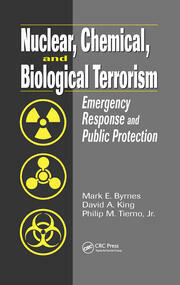 Well written and accessible to technical and non-technical audiences, no other book focuses on analytical methods and explains current detection devices for chemical warfare agents.